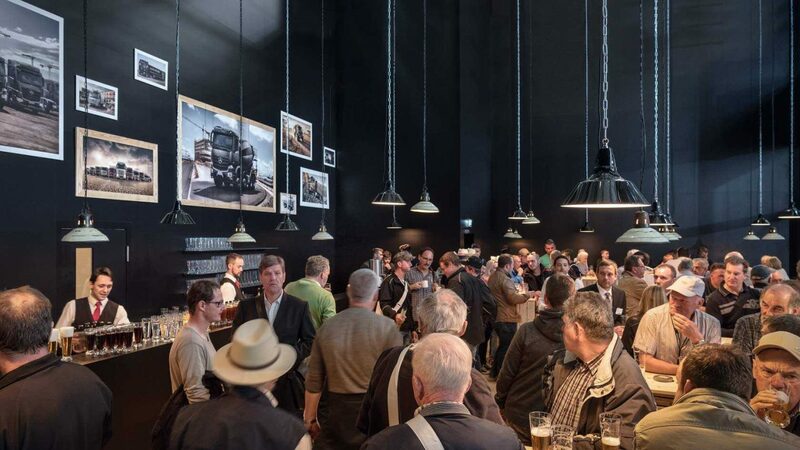 Bauma in Munich is the world's leading trade fair for construction, building material and mining machines, construction vehicles and equipment. 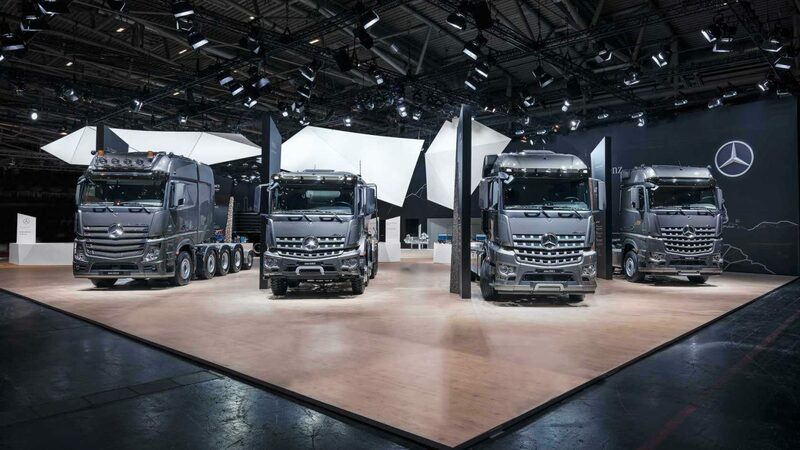 On a total of 1700 m², Mercedes-Benz trucks and FUSO present 19 vehicles for a wide operative range - from city delivery trucks and vans, light or heavy trucks, heavy duty tractor units or individual special purpose vehicles to concrete mixers and dump trucks ... The guiding idea of the stand: vehicles differ in use on different terrains, each vehicle is "strong" in its terrain. 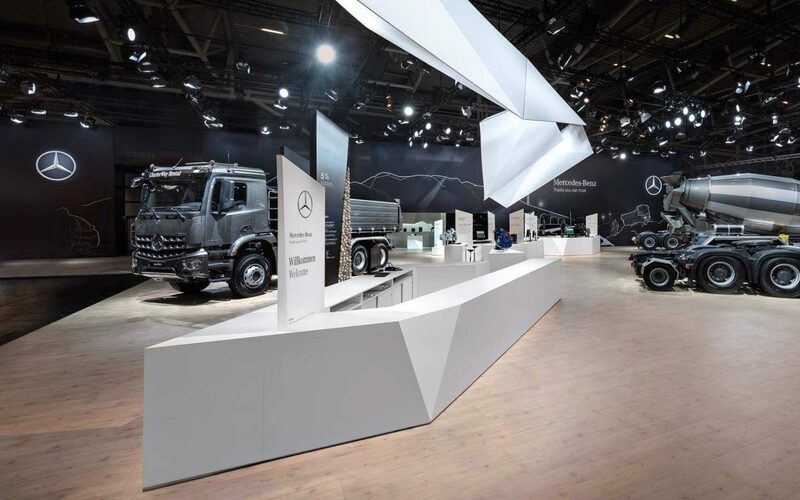 The motif is translated into the image of a stylised landscape, with the ceiling and furniture elements structuring the stand whilst developing a powerful backdrop for the trucks. The wall graphics take up the subject and expand the spatial perspective. Additional communication steles with highlight themes and material inlays are located adjacent to the vehicles. 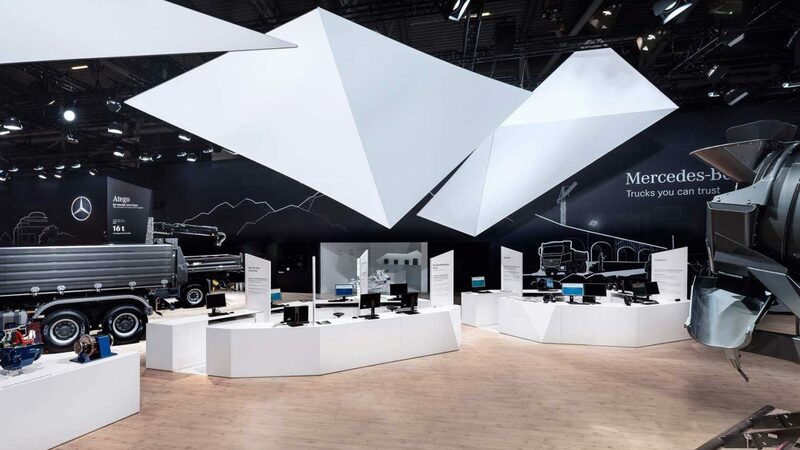 The stand presents vehicle solutions that are optimally designed to meet the requirements of the respective task at hand. 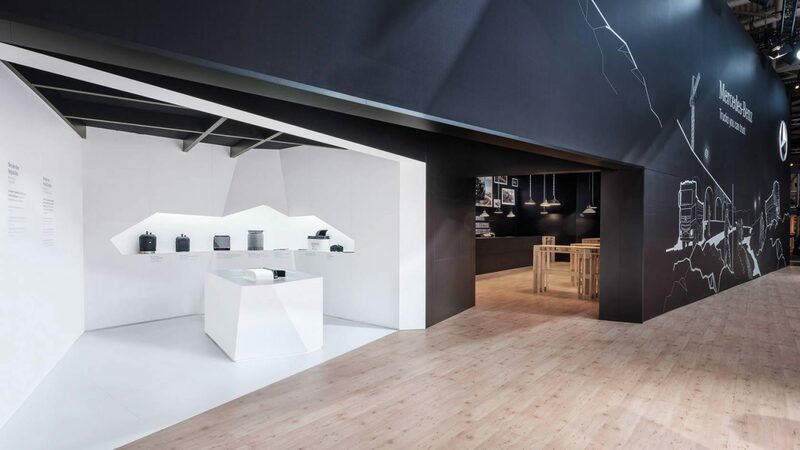 The spatial and scenographic concept developed by Milla & Partner creates a welcoming meeting and information platform during the fair as well for the customer and employee events on the stand. MEDIA STAGING OF ORIGINAL PARTS - E.G. : WHAT IS IN AN AIR FILTER? 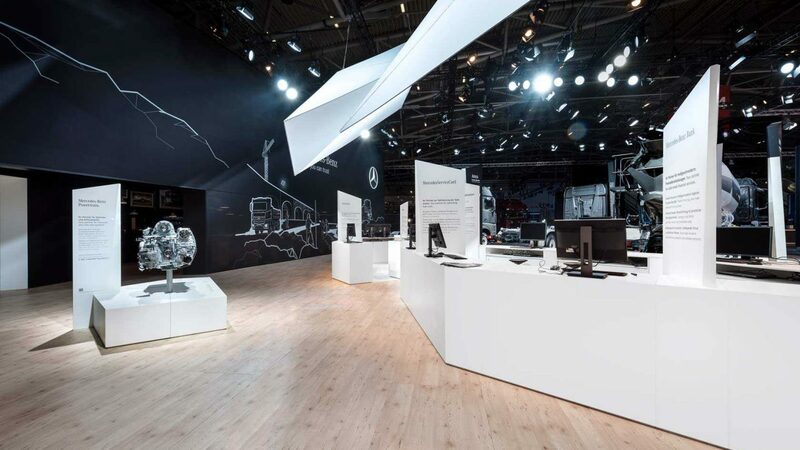 Mercedes-Benz competence in the field of services and parts becomes palpable with the i/o Presenter developed by the Milla & Partner Innovation Lab. 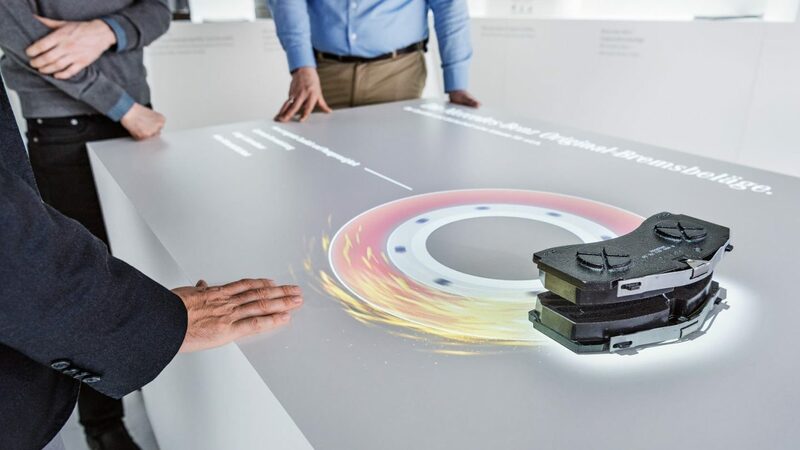 In interactive dialog with visitors, experts present Mercedes-Benz original parts (air filters, air spring bellows and brake pads) and Mercedes-Benz original replacement parts (diesel particle filters and replacement motors) visually and haptically. 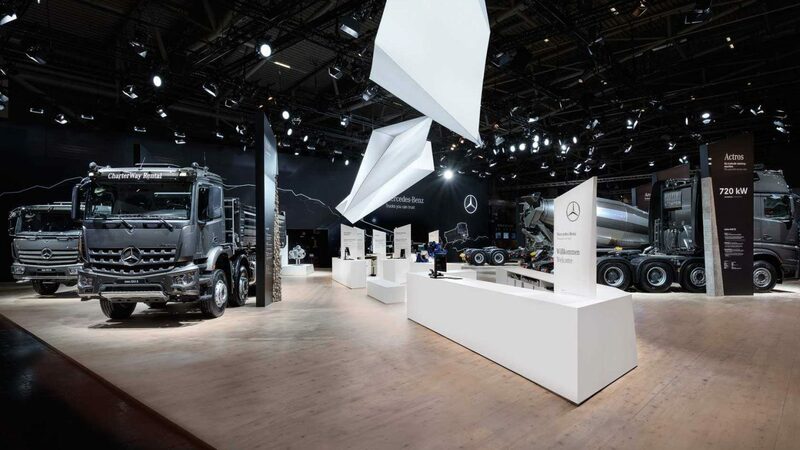 The medial demonstration professionally and emotionally strengthens the aspect of customer orientation and customized products from Mercedes-Benz.